Or Push the Pedal to the Metal! Kersting’s Cycle Center & Museum, located in north-central Pulaski County near the Starke County line and State Road 39, is more — so much more — than our local source for Harley-Davidson and Yamaha motorcycles, ATV’s, apparel, and parts and service. 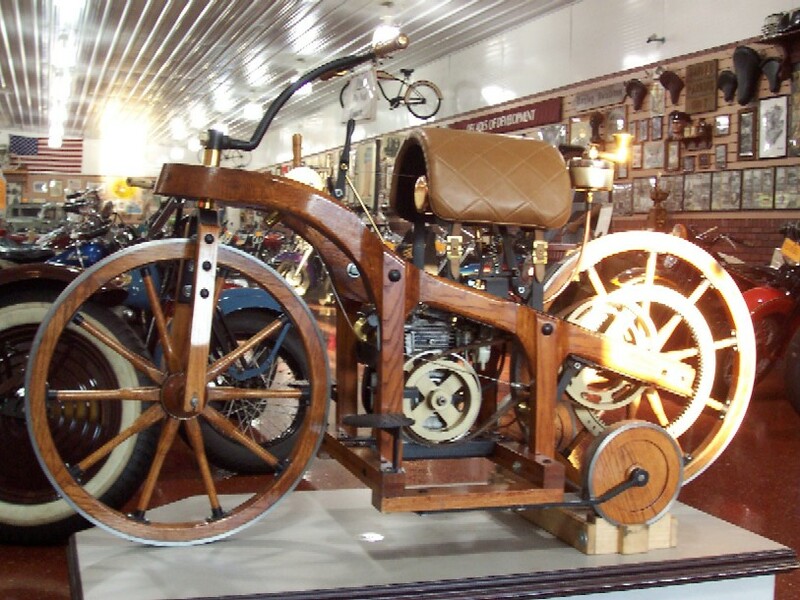 It’s where you’ll find great values and friendly hometown service — and an amazing collection of nearly 100 antique and otherwise historical motorcycles from nine decades and eight different countries. Or maybe you’d rather watch others risk life and limb behind the wheel; if so, then Shadyhill Speedway is the place for you! Located about 1.5 miles west of State Road 39 and northeast of Medaryville, Shadyhill is “Where the dirt stops and the clay begins!” From May through September, stock-car races are held every Saturday night, beginning at 7:00p.m. Eastern Time; the grandstands open at 4:30, allowing for plenty of fun before the main event.